Philosophy literally translated means “love of wisdom,” but the discipline involves so much more. Philosophy addresses the fundamental problems of existence, values, mind and language. It is a catalyst for innovation and a demonstration of the power of human reasoning. Studying philosophy helps you think critically and creatively, and is the foundational basis for any number of rewarding careers. The UNDERGRADUATE PHILOSOPHY CLUB meets throughout the year and sponsors talks by undergraduates, graduate students and faculty. CONSILIENCE is a student organization that provides a forum for interdisciplinary dialogue amongst undergraduate, graduate and postdoctoral students. MAP (Minorities and Philosophy) is a philosophy reading group for undergraduates, graduates, and faculty who are interested in learning about and discussing the problems faced by minorities in philosophy. The PHILOSOPHY SUMMER CAMP is a one-week summer program for high school students and is taught by faculty and graduate students. Undergraduates can get involved as well. Explore the nature of reality, morality and free will, God’s existence, and some of life’s other big questions. Consider moral quandaries from contemporary life such as human cloning, performance enhancing drugs, abortion and capital punishment. Learn how to construct strong arguments and how to identify various kinds of fallacies in reasoning. Analyze the nature of religion and the foundations of religious belief. Examine at least three of the great philosophical traditions of Asia: Hinduism, Buddhism, Jainism, Zoroastrianism, Taoism and Confucianism. Get acquainted with the most influential figures in the history of human thought, including Socrates, Plato and Aristotle. How should humans engage the world around them? The treatment of non-human animals, the problem of climate change, and the ethics of sustainable development all pose important moral challenges. Explore what makes life meaningful, including the role of the afterlife, the importance of achievement and happiness, and the question of immortality. The study of Philosophy develops a number of versatile, in-demand skills, including lateral thinking, creative problem-solving, analytical reasoning and the ability to read, write and express ideas and arguments clearly. Described in The Atlantic as “the most practical major,” the majority of our philosophy majors go on to careers outside of academia in a number of diverse fields. Philosophy teaches students how clear and careful thinking can illuminate all sorts of questions, even the most difficult ones. It develops critical capacities for students across the University. Support for the department can help fund student or faculty research, bring leading philosophers to campus to stimulate and interact with our community, sponsor a conference on an important topic of contemporary debate or fund scholarships for low income high school students to attend the Philosophy and Critical Thinking Summer Camp at Ohio State. 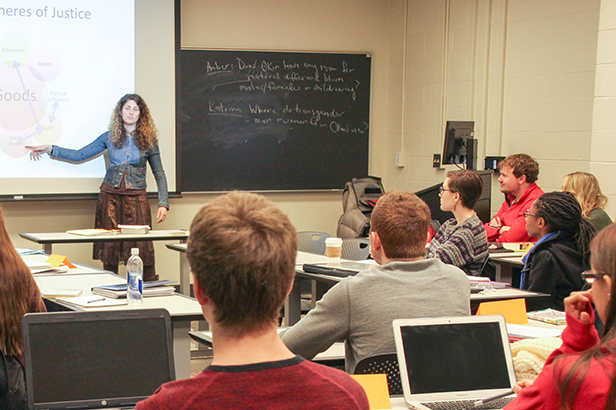 The department’s 17 faculty members are top scholars in diverse areas of specialization and cover all the primary areas of philosophical study: metaphysics, epistemology, ethics, history of philosophy, logic, aesthetics, moral psychology, philosophy of mind, philosophy of language and philosophy of action. The PhD program is strong in the analytical tradition with several areas of special strengths: Philosophy of Mathematics and Logic; Ethics and Metaethics; Modern Philosophy; Philosophy of Mind and Cognitive Science; Metaphysics; Moral Psychology; Philosophy of Language; and Action Theory. Ohio State’s Center for Ethics and Human Values organizes a range of programs aiming to raise awareness of ethical challenges facing society. The leadership of the Center from the start has included members of the Department of Philosophy.